Cardinal Mosaic,-Let Me make One For You! Holiday Cardinal Mosaic-Let me make one for you! Mosaic Mockingbird and Barbed Wire- Contact artist to request a similar custom design. Mosaic Blue Plate Special-SOLD Let me Make One For You! Fruity Face Mosaic-SOLD Let Me Make One For You! Peace, Love, Pie and Mosaics! Such a beautiful mosaic. It is bright and shiny and looks even better in person. I love the uneven edges where the flower extends and the different textures. Thanks so much. I absolutely adore my purchase! It is beautiful & I cannot wait to give it to my mother in law for her birthday! Work in progress, Sophie in repose. Working on a custom piece, a village scene...a hometown. 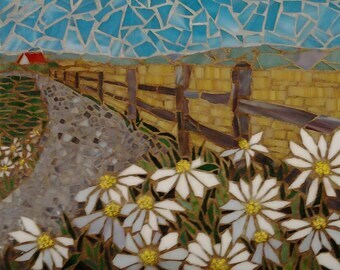 Just completed and shipped this custom mosaic.. I hand painted detail and tinted the grout for extra depth. Beautiful! 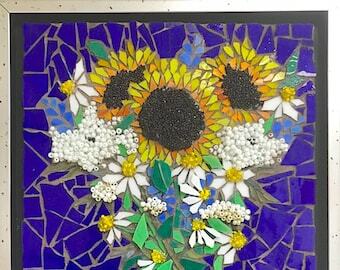 Once I started creating mosaic art, I didn't want to stop. "The feel of the glass, the clicking of the cutters and puzzling of shapes, are all cathartic. Once the idea and composition are resolved, I can place tessera while thinking of my next work of art." 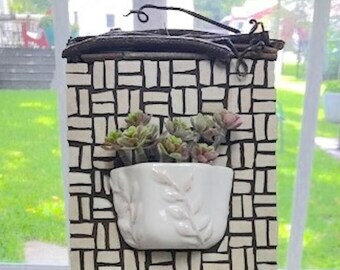 Owner, Joetta Currie offers original works of art from stained glass, tile, and found objects. She creates original home decor, backsplashes, murals and custom signs. ​She lives and works in a quiet town in Texas with her husband and dog, Sophie. 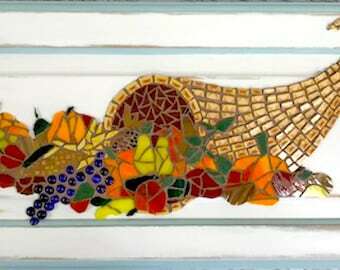 Artist, Joetta Currie designs and creates fine, mosaic works of art from stained glass, porcelain and found objects. Each piece is crafted with care, using quality material. 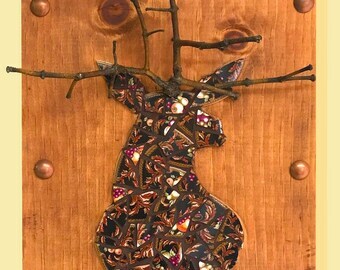 Currie accepts commissions and can provide all material for each piece or she will utilize a customer's material to create a personal and special piece for family or friends. Please note that the colors you see on your monitor may differ slightly from those of the painting due to variations in monitor settings. All images copyright © Joetta. Artwork may not be reproduced or resold without the express permission of the artist. Pieces purchased from the Mosaic Art Place store are returnable within 3 days of purchase. They must be returned in the original packaging and be undamaged. Please call Joetta at 214 543-3381, before returning your work of art for a Return Acceptance Number. Items returned without an RA# may not be accepted and your account not credited. Return shipping is paid by the customer. Commissions can not be canceled and deposits are not refunded, once work has begun. • You will receive a rough color sketch for approval. • You receive a work in progress image. 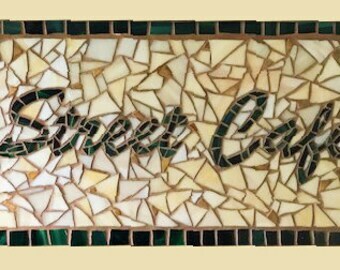 • You will receive an image of the finished mosaic prior to shipping. Art is shipped and/or began once payment is received. Shipping charges are estimated on all custom pieces and updated when artwork is completed. All commission work requires a payment in full upon acceptance of the project. Commissions can not be canceled and deposits are not refunded, once work has begun. I strive to get custom work done and shipped to you safely, in a timely manner. I usually allow 2-3 weeks for completion of orders. 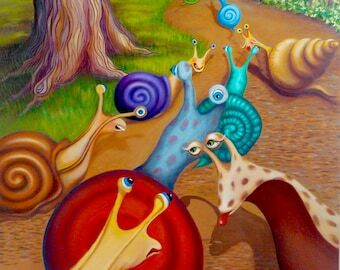 However, if your piece is larger, very detailed, required material not in stock, or I have other commissioned work ahead of yours, it may take longer. I will let you know the approximate time upon placing your order. Please use care with your mosaic. Due to the inherent nature of the material, (broken glass) some edges may be sharp.